Membership in Royal Lacrosse Club belongs to each participating family. Therefore, any part of the family – Player or Parent – who fails to abide by the Code of Conduct puts the entire family’s membership at risk. Royal Lacrosse Club Players, Parents and Coaches are to conduct themselves in a manner that "Honors the Game" and demonstrates respect to other Players, Coaches, Officials, Parents and spectators. 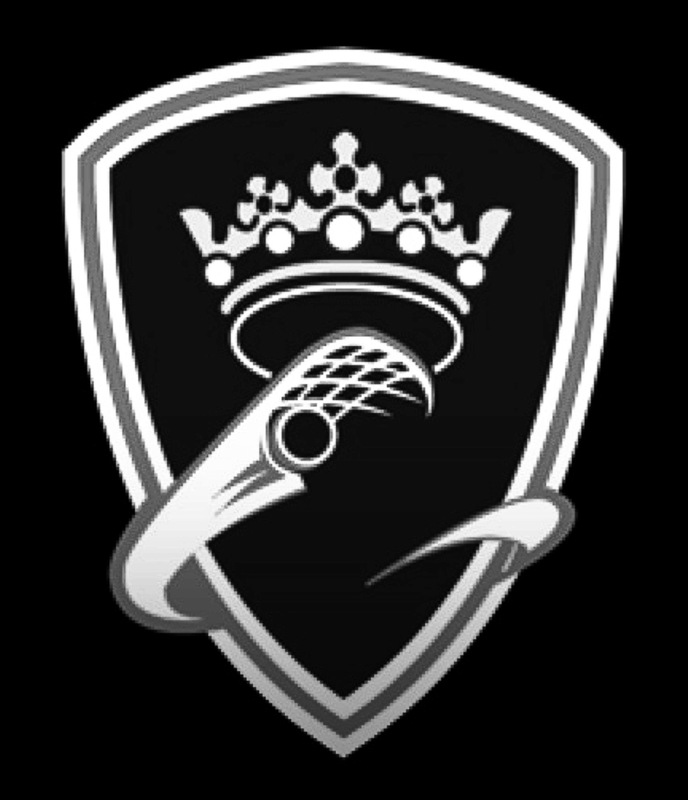 In becoming a member of the Royal Lacrosse Club community and the Lacrosse community overall an individual assumes certain obligations and responsibilities to the game of Lacrosse and its participants. The essential elements in this "Code of Conduct" are HONESTY and INTEGRITY. Those who conduct themselves in a manner that reflects these elements will bring credit to the sport of Lacrosse, themselves, their teams, and their organization. It is only through such conduct that our sport can earn and maintain a positive image and make its full contribution to youth sports in the United States and around the world. Sportsmanship and teaching the concepts of fair play are essential to the game, and must be taught and developed both at home and on the field during RLC practices and games. Permitting, encouraging, or condoning performance that is dangerous or demeaning to a Player, Coach, Official, spectator, or anyone connected with the function of the game of Lacrosse is unacceptable. Obscene, foul and/or abusive language or gestures is prohibited during all games, practices, tournaments and as spectators at any event where RLC members are representing our club. Without limitation, any form of physical or verbal assault, bullying or harassment of another Player, Coach, Official, Parent or spectator is strictly forbidden. This prohibition extends to electronic media such as email and social networks. For serious infractions, the RLC Directors and/or coaches may file a police report. All adults involved with Royal Lacrosse Club must never permit anyone to openly or maliciously criticize, badger, harass, or threaten an Official. To do so is a violation of RLC rules and the rules of the game in general and must be considered by all to be unacceptable conduct. Possession, use, distribution or being under the influence of drugs and/or alcohol is strictly prohibited. This includes alcohol, illegal drugs, unauthorized prescription drugs and tobacco. In addition to RLC discipline, RLC Directors and/or Coaches may file a police report for serious violations of this rule. In addition to the legal issues, using Drugs, Alcohol and/or Tobacco will limit the potential of any athlete. Participation in Royal Lacrosse Club is a privilege and all players should be aware of the responsibility that comes with representing RLC. Players must abide by RLC rules at practice, games, tournaments, as spectators at lacrosse events and whenever and wherever they are representing Royal Lacrosse Club. All Royal Lacrosse Club members are required to comply with, at the very minimum, civil and criminal laws, in addition to the Codes of Conduct of RLC and US Lacrosse. Players who are involved in conduct that violates civil or criminal law will be subject to suspension or dismissal from Royal Lacrosse Club. Violation of the rules subject the player to disciplinary action that can include suspension or dismissal from the team. The nature and severity of any violation will determine the disciplinary action taken and will be at the sole discretion of Royal Lacrosse Club Directors and Coaches. If occasions arise that are not fully covered by the RLC or USL rules and regulations the RLC Directors and Coaches will have the power to decide what action shall be taken against a member. Equipment - Players are personally responsible for bringing the required equipment to all RLC games, practices, and tournaments. They are also personally responsible for properly maintaining their equipment and they must make sure that their equipment is in good working order before they participate in any RLC game or practice. Required equipment for all RLC players is a helmet, protective cup, mouthpiece, gloves, arm pads, shoulder pads, stick and cleats. Any Player who arrives at any RLC game or practice without ALL of the required equipment will not be allowed to participate. Sportsmanship - Sportsmanship and the concepts of fair play are essential to the game of Lacrosse. They must be developed on the field during practices and games as well as off of the field. As a member and a representative of RLC, you are expected to behave in a professional and courteous manner while representing our club. Demonstrate the spirit of sportsmanship, sports leadership and ethical conduct. Always work as a cooperative member of RLC. Poor sportsmanship may result in disciplinary action which could include suspension or, in severe cases, dismissal from RLC. Player Accountability - RLC Players are expected to show up at all RLC practices and games with a positive attitude and a sincere desire to participate fully and improve as Lacrosse athletes. Be on time for every RLC activity including practices, games, meetings, travel, tournaments, etc... For RLC travel team Players - ALL practices, games, meetings, and tournaments are mandatory. RLC Coaches may excuse travel Players from participating in travel team-related activities if the absence is due to family emergencies, illness, religious observance, or other valid and unavoidable conflicts. In the case of a planned absence for any reason, travel Players are responsible for notifying their Coaches in advance. This responsibility is the players' exclusively. It is not the responsibility of their Parents. Players must not accept a RLC travel team roster spot if they cannot make the required commitment. At the sole discretion of RLC Directors and Coaches violations may subject travel Players to dismissal from RLC travel team rosters. RLC Parents will set the example for good sportsmanship at all games, practices and tournaments. You are role models, and will be held to the same high standards of sportsmanship that we expect from our players. Parents must uphold the same RLC rules that apply to players in terms of assault, discrimination, disrespectful or abusive language, drug and alcohol abuse, unsportsmanlike conduct, foul language and gestures, etc. Parents in violation of the rules may be suspended from attending practices, games and other RLC activities. Additionally, parents in serious violation of these rules may put their player in jeopardy of suspension or expulsion from RLC. Parents must allow the RLC Coaches to instruct their children during games and practices. RLC Parents must also not interfere by offering additional instruction during those times. From the sidelines, you are expected to enjoy watching your children play Lacrosse, and be their cheerleader, not their coach. Parents must recognize that RLC Coaches are willing to discuss players and/or coaching philosophies, but agree that discussions will only take place at the appropriate time and never during a tryout, practice, or game or in the presence of any players or other Parents/Guardians. Parents agree to follow the "24 Hour Rule" : If you have a SIGNIFICANT complaint resulting from a game or practice situation contact the Coach the next day (preferably by email) after a good night's sleep and arrange a suitable time to discuss your complaint in a mutually respectful manner. Please respect that our Coaches are working with a large number of players and that they most likely have "day jobs" and families of their own. Parents must never confront any RLC Director or RLC Coach over roster selections for, or playing time on, any RLC travel team. This includes all methods of communication such as email, phone, social network or face to face. Our travel teams are by design highly competitive teams where the best players available are selected to fill our specific roster needs. These decisions are made exclusively by RLC Coaches and based solely on merit. While our Coaches are willing to offer constructive feedback to parents about how their children can work to improve and become more successful Lacrosse players, we will not discuss our evaluations of other parents' children. Parents of those players selected to our travel teams must understand that equal playing time is not guaranteed on any RLC travel team. Playing time is earned. All parents are bound by RLC rules and Code of Conduct and US Lacrosse rules and Code of Conduct. RLC Coaches must always be aware of the tremendous influence they have on their players. They are to strive to be positive role models in dealing with young people, as well as with adults. Coaches must establish objectives for their teams and their players and inform them of team and individual player goals. Coaches must be committed to improving as Lacrosse coaches. In so doing they agree to follow the RLC coaching model as well as the reasonable directions/instructions of RLC Directors. Coaches will teach and practice good sportsmanship at all times. A Coach will respect the game of Lacrosse. A Coach will respect the officials. Minor breaches of discipline may be dealt with by the RLC Coach in consultation with other members of the RLC coaching staff. Coaches can expect the respect and support of RLC Players and Parents. The Board of Directors may suspend or terminate a member of RLC if it has been determined that the conduct of the member is adverse to the best interests of RLC and the sport of Lacrosse. If a member has not complied with the requirements of his or her membership in RLC, that member may also be suspended or terminated. RLC must recognize any rulings and/or suspensions given out by all organizations under the jurisdiction of US Lacrosse when notified. A suspension is to be considered a disciplinary action that is not permanent. Suspension from RLC prohibits a player and their parents from participating in any RLC activity, event, practice or game for the duration of the suspension. Suspended players are fully reinstated to the team at the conclusion of their suspension. Termination, or expulsion, is the permanent removal of a member’s membership in RLC. The duration of the membership termination (number of playing seasons) will be determined in advance by RLC Directors and Coaches based on the severity of the offense. Because membership in RLC belongs to the entire family, serious disciplinary action against one member of the family (whether it is the player or a parent/guardian) extends to the entire family. Therefore, if a parent is expelled from RLC, then the player loses their membership, as well. RLC has the option at their will to take into consideration families with more than one player participating in the RLC program; one player’s expulsion may not necessarily exclude a sibling from participating. This decision will be solely at the discretion RLC Directors and Coaches.However, parents who are expelled from RLC can expect for the entire family membership to be denied. Any Player, Parent, Coach, or person involved in RLC in any capacity who is suspended or expelled from RLC will not receive any refund or compensation of any kind.